martensitic grade EN 1.4116, DIN X50CrMoV15 stainless descriped as stainless molybdenum vanadium steel, it's particularly used to the manufacturing of high quality kitchen knives, scissors, medical instruments, blades. 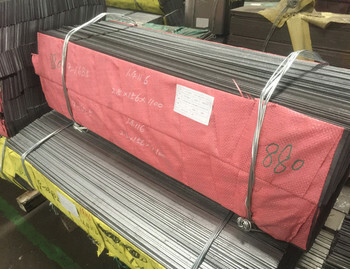 EN 10088-2 standard, hot and cold rolled stainless steel strip, coil, sheet, plate EN 1.4116 ( DIN X50CrMoV15 ). We are specialised in stainless martensitic steels, products in forms of hot- and cold-rolled sheet, plate, strip, coil.